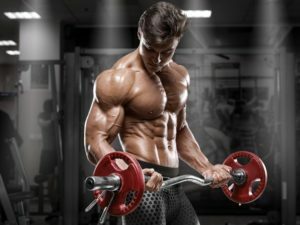 Look around the bodybuilding marketplace and pretty quickly you will stumble across the same BCAA formulation in a myriad of different colors, labels, and brands. But, looking past the packaging – you end up finding the same exact under dosed ingredients. I don’t even want to get into it how far downhill this can go. Today, many top selling brands are giving their customers less than half of the working dose determined by science. By doing so, to get that proper dose you have to take 2-3X your serving amount, which ultimately makes these same supplement companies money 2-3X as fast. That’s not impressive and overall not cool. Luckily, Tansparent Labs is changing this game and putting the industry back in its place with their own BCAA Glutamine supplement as a part of their CoreSeries line, and we are impressed. This is definitely the first BCAA product that doesn’t just deliver, but it over-delivers massive value and real effectiveness. It’s not new science, its simply acknowledging what works and putting in the right stuff. This is why TL BCAA Glutamine ranks as king on our best bcaa supplements guide. 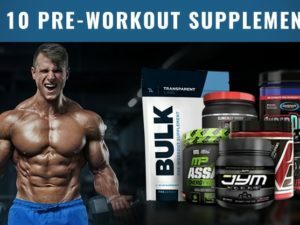 Its no surprise that BCAAs are in this supplement, obviously it’s a branch chain amino acid product. However, what’s exceptionally special is the weight of BCAAs included. 8 whole grams. This is phenomenal in comparison to 3-5 grams as the industry average (and far less in pill form supplements). Why is this important though? Well, for starters over in Europe an elite rugby team taking 7.2 grams of BCAAs per day were found to have reduce muscle damage and increased oxygen carrying capacity. During the study, amounts of 2.2 g, 4.4 g, 6.6 g, and 7.2 g were used, the 7.2 g dose produced the best response. Transparant Labs goes above that dose to ensure these benefits. See study here. Preventing muscle damage is huge, and that’s a strong benefit to taking BCAA products. This study here explains how during exercise, fat metabolism increases. Interestingly enough, this same increase in fat metabolism also triggers massive BCAA catabolism, which over time can lead to muscle damage and wasting. Obviously not something you train and workout hard in the gym to do. For us, it’s all about building muscle and cutting fat. Glutamine is the most prevalent amino acid in the human body, and the body even has the capability to make this amino acid on its own. But, for us strenuous exercisers – blood glutamine levels can dip significantly from our efforts. This in turn can have a slight but noticeable negative effect. According to this study, supplementing with glutamine in athletes was able to increase both blood alkalinity and growth hormone (view here). In addition, this study reported significantly reduced infection occurrences in athletes whom supplemented with glutamine versus those who did not. Coconut water is loaded with micronutrients and electrolytes. By including coconut water powder in this BCAA, the idea is that it provides ‘healthy’ sports drink benefits. If you take BCAA Glutamine pre or intra workout, expect to notice a significant endurance increase. This may even feel like a strength increase to some. For us personally, both were noticeable. In addition, for users taking BCAA Glutamine pre, intra, or post workout – expect reduced recovery time and far less DOMS intensity. BCAA supplements have taken a lot of flak over the years, there is no denying that. But those supplements were under-dosed. Transparent Labs BCAA Glutamine on the other hand is not under dosed.